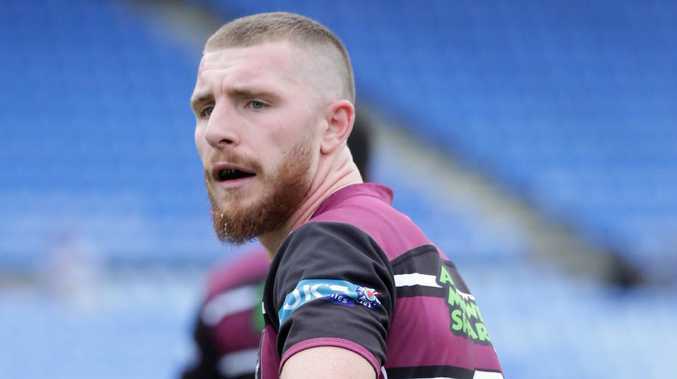 ENGLISH club Salford has signed Jackson Hastings, initially for the rest of the season, in a bid to retain its Super League status. The Red Devils have bolstered their injury-hit squad with the capture of the 22-year-old following his release by the Manly. Hastings has spent most of the season playing in the NRL's second-tier competition after a reported falling-out with some senior Sea Eagles players. Salford director of rugby Ian Blease said former owner Marwan Koukash helped finance the deal for Hastings, who was waiting for final visa clearance before linking with the club ahead of the Super 8s. "A huge amount of hard work behind the scenes has gone into making this happen over the past few months and we are delighted to get it over the line," Blease said. "Opportunities to sign players this talented do not come along too often and it speaks volumes that we have beaten off some serious competition for his signature. "I'd like to thank the player's agent for all his help as well as Marwan Koukash, who has honoured his pledge to support the club with the acquisition of a player. "It is vital we stay in Super League this year and the signing of Jackson Hastings shows that we are very serious about this aim." Salford has lost seven of its past eight matches and could be confirmed in the bottom four if results go against the club on Friday night, when it host sCastleford. Hastings, who has 47 NRL appearances for the Sydney Roosters and the Sea Eagles to his name, is expected to play alongside former Wests Tiger and North Queensland Cowboy Rob Lui in the halves for his new club.